Dropdown listbox is one of the most flexible object in HTML. It is similar to that of radio button i.e, only one item can be selected from a group of items but the only difference is Dropdown menu occupies less space on the for when compared to Radiobutton and people can view one item at a time. Name This attribute specifies the name of the object through which it can be referenced. size Interger : Used to specify the number of visible items in the list. Multiple If given yes, then multiple choices can be made. 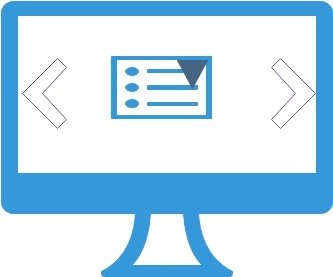 value Used to specify the value to be submitted if the form has been submitted. In the code see how we have kept value equal to blank for the tag Select a colour. Now let us try one multiple selection dropdown list box. If we are changing the elements of the select box dynamically, then the width of the drop down select box will keep changing. It will get stretched or reduce based on the elements of the select box. This will not look nice so to give a fix width we have to use style sheet. By just adding width attribute we can't achieve the result in internet explorer and in other browsers except Netscape. Here is the code to manage the width of a select box. We can give choice to users to select more than one option by adding the attribute multiple. We can also specify the size to display number of options without expanding the pull down list. Here is the sample of listbox with multiple option. Press and hold Ctrl Key and select more than one item from the list. Here is the code of above. We can group the options under different heads. We can use optgroup to manage such group of options. Have to select multiple values in drop-down and also pass the value to next page with selected values...How to do??? 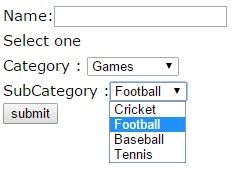 As explained above you can use multiple selection dropdown to give user choice to select more than one choice. On submission of the form it will be available in next page ( defined by action of the form ) and you can collect the inputs as an array by using PHP.